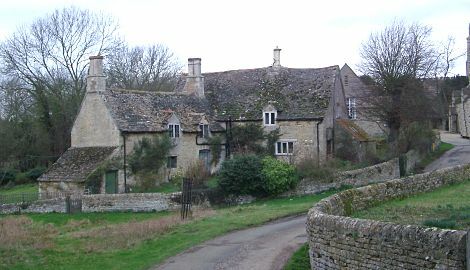 A parish workhouse operated in Duddington, in a building at the bottom of Todds Hill, from about 1775 until 1834. Other parish workhouses in the area included those at Colly Weston and Easton, the latter dating from at least 1801. In 1807, a cache of 151 silver coins from the reigns of Elizabeth, James and Charles was found hidden in a chink in an inner wall of the Easton workhouse. County of Lincoln: Stamford All Saints, Stamford St George (3), Stamford St John Baptist (2), Stamford St Mary (2), Stamford St Michael (2), Barholm, Braceborough, West Deeping, Greatford, Stowe, Tallington, Uffington, Wiltsthorpe. County of Northampton: Ashton, Bainton, Barnack, Colly Weston, Duddington, Easton, Pilsgate, St Martin, Southorpe (2), Thornhaugh, Ufford, Wansford, Wittering, Wothorpe. County of Rutland: Casterton Magna, Casterton Parva, Clipsham, Essendine, Ketton, Pickworth, Ryhall, Tinwell, Tixover. The population falling within the Union at the 1831 census had been 15,411 — ranging from Stowe (population 17) to Stamford itself (total of 5,837 in five parishes). The average annual poor-rate expenditure for the period 1833-35 had been £6,599 or 8s.7d. per head. 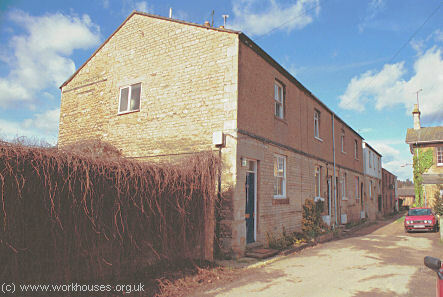 The first Stamford Union workhouse was built in 1836-7 on Barnack Road. The architect was Bryan Browning who was also responsible for workhouses in Spalding and Bourne. It was designed to accommodate 300 people and the Poor Law Commissioners authorized an expenditure of £4,800 for its construction. 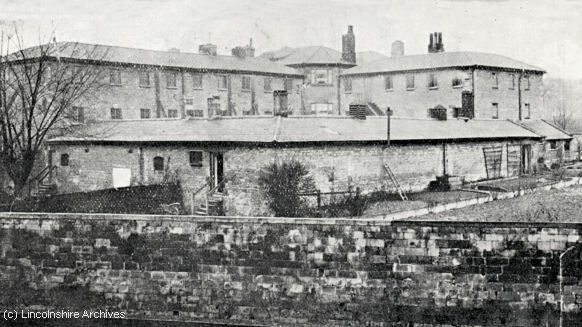 The workhouse comprised a entrance block with a central entrance, and a main block with side wings, and various outbuildings enclosing the inmates' yards. Stamford Barnack Road from the north-east, c.1900. An infirmary was erected to the north-east of the main building in around 1873. A chapel was also added at the west of the workhouse. The site layout is shown on the 1900 map below. Stamford Barnack Road north-east range from the south, 2001. 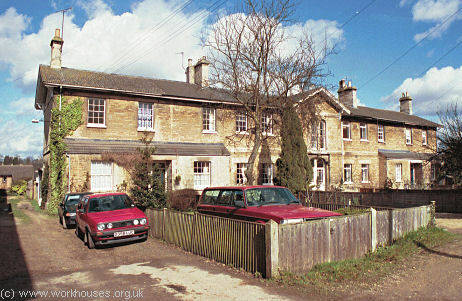 Stamford Barnack Road infirmary from the south, 2001. In 1899, the Stamford Board of Guardians decided to erect a new workhouse at Bourne Road. Its location and layout are shown on the 1930 map below. 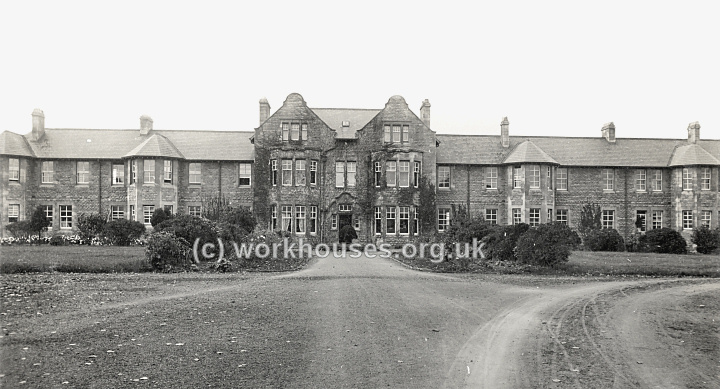 Stamford Bourne Road workhouse from the south-east, c.1914. The building, designed by JH Morton, was completed in 1902 and could accommodate 175 inmates. An entrance block contained board-room, casual wards and receiving wards. The main building contained the Master's quarters, dining-hall and kitchen at the centre, with females accommodated at the west and males at the east. Exercise yards, and out-buildings including laundry, workshops and boiler-house, lay to the rear. A separate infirmary lay at the north of the workhouse. After 1930, the workhouse became a Public Assistance Institution, then after 1948 joined the National Health Service as St George's Home, later St George's Hospital. 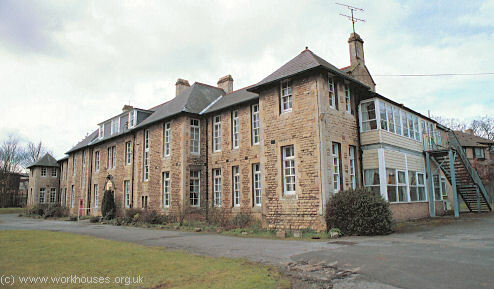 In 2001, only the infirmary block survived as was being used as a nursing home. Stamford Bourne Road infirmary from the south, 2001. The union opened a children's home on at the north-east of the workhouse site on Bourne Road, Stamford. In more recent times, the building has been known as Ryhall House. Lincolnshire Archives, St. Rumbold Street, Lincoln LN2 5AB. Holdings include: Guardians' minute books (1835-1888, 1904-30); Admissions and discharges (1920-25); etc. Thanks to Lincolnshire Archives for kindly providing archive picture.